“Fear is a steal trap,” Gran advises Evangeline, the heroine of my debut middle grade novel. 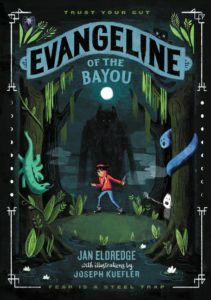 EVANGELINE OF THE BAYOU is the story of twelve-year-old Evangeline Clement, a haunt huntress apprentice studying the ways of folk magic and honing her monster-hunting skills. As soon as her animal familiar makes itself known, the only thing left to do is prove to the council she has heart. Then she will finally be declared a true haunt huntress. Of course, things do not go as planned for Evangeline. And when she and her grandmother are called to New Orleans to resolve an unusual case, she must summon her courage to defeat a powerful evil that’s been after her family for generations. Gran goes on to warn Evangeline, “Fear keeps you from moving forward. It binds up your courage as well as your smarts.” These wise words of Gran’s hold true for nearly any situation we encounter, whether it be hunting monsters or writing essays. As the leader of a local writers group for the past dozen years, and having been a member of numerous critique groups, I’ve learned that one thing we creatives all have in common is fear. And we have a lot of them, like: showing our writing to family and friends, getting our work critiqued by other writers, not knowing how to begin our stories, not knowing how to end our stories, or not being able to come up with any new ideas. But one of the most common fears I’ve seen is that of simply getting started, rallying the courage to just jump in and begin the writing of that novel, memoir, or short story. I call it “freezing on the high-dive”. Taking that initial leap can be scary, but it doesn’t have to be. After discussing this topic with numerous fellow writers over numerous coffees and teas, I’ve come to suspect this particular fear stems from the mistaken belief that we have to get our words right the first time, that somehow a perfect stream of brilliance must flow straight from our head and onto the blank sheet of paper. This unrealistic expectation can lead to a lot of frustration and writing resistance. Fortunately, there are a few easy techniques writers of any age and any writing level can incorporate to defeat their fear of writing and get their words moving forward. These simple tips can be applied to everything from the writing of novels and essays, to the writing of thank you notes. The first step is to think of the writing process as one that uses two distinct parts of your brain: the creative side and the editorial side. Going into a project while trying to use them simultaneously is when many of us run into trouble. The two parts do not play, or work, well together. Once you’ve accepted the fact that you’ve essentially just carved your brain into two halves, the next step is to hush that editorial side. Reassure it that it will have its turn to make corrections and clean things up later, but for now it’s Creative’s turn to play. Allow your imagination to run wild and free. Let go of rules and logic. There are no right or wrong ideas in this phase of your project. Don’t worry about choosing the perfect word, and don’t worry about things like spelling and punctuation. That’s Editor’s job for later on. If you’re still having trouble coming up with ideas, here’s another helpful tip: just start writing. Write anything, even if it’s simply the words, “I don’t know what to write.” There’s something almost magical about the act of putting pen to paper, or fingers to keyboard, that gets the creative tap flowing. Taking away all those expectations of perfection will conquer that fear of not being able to think of anything to write. Now that you’ve got some great ideas and images, and maybe even some really cool lines of dialogue, let your creative side take a rest. This is the time to set your internal editor free. Allow it to get to work picking and choosing what elements to use, what order to put them in, and making sure the grammar, spelling, and punctuation are all up to snuff. This is the technique I used while writing EVANGELINE OF THE BAYOU, and I’m using it now as I work on the sequel. Keeping the creative half of my mind separated from the editorial half has helped me defeat my fear of just diving into the writing. It’s helped me overcome my worry that my writing is too sloppy, nonsensical, and filled with mistakes. I know that by setting my creative side free to do what it does best, it’ll provide me with fun, fresh, and unexpected ideas. Sometimes it delivers more ideas than I can use, or ideas that are in need of further research and tweaking, but that’s okay, because I know I’ll soon be unleashing my editorial side to make my words all shiny and clean. 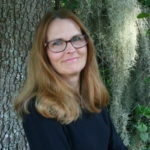 About the Author: Jan Eldredge was born and raised in Louisiana. She now lives in Celebration, Florida with her husband, their children, and a house full of cats. 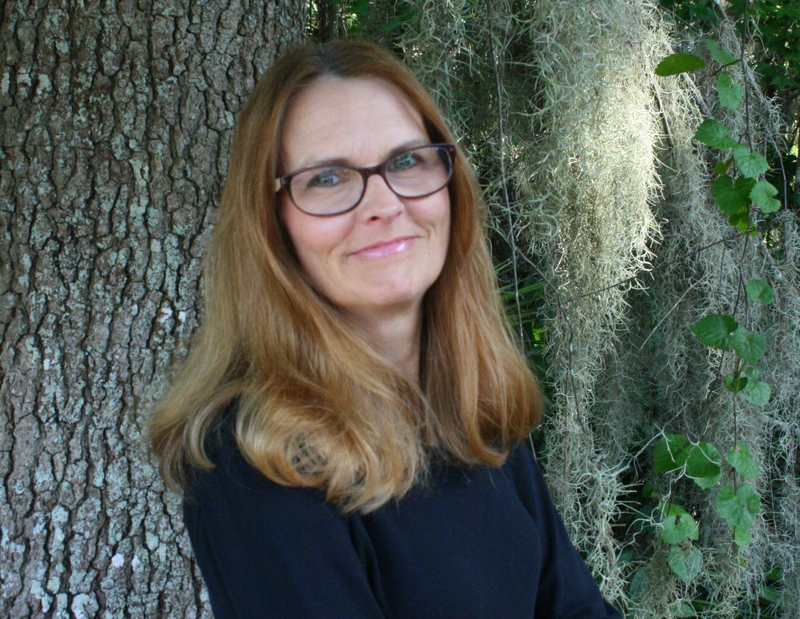 When she’s not writing, she spends her time reading, going to theme parks, and exploring old cemeteries. She is particularly fascinated with monsters, magic, and all such eldritch things. 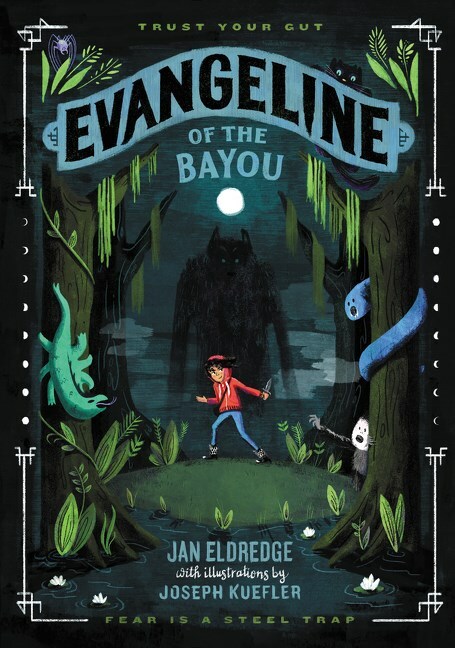 About Evangeline of the Bayou: Evangeline Clement is not just your everyday twelve-year-old. Upon her thirteenth birthday, she will officially become a haunt huntress just as talented as her mama and Gran, descended from a long, proud line of haunt huntresses in Louisiana. That is, if her animal familiar shows up, her powers emerge, and she can prove to the Council that she has heart (whatever that means). Because she couldn’t possibly be a middling, born without any magical abilities, right? She can’t be the end of Gran’s line. Fear is a steel trap. It keeps you from moving forward. It binds up your courage, as well as your smarts. Citizens have been calling for Gran’s help to send troublesome creatures like Bayou Banshees and Johnny Revenants back where they belong. As her apprentice, Evangeline has learned not just the cures to any local supernatural afflictions but also how to navigate the bayou, how to climb trees, and how to fight – all while wearing her signature silver-tipped gator-skinned boots! Now in an unusual request, Gran has been called from the swamp to New Orleans to undertake an emergency case. But after a string of undeniable signs indicating that death is near, can Evangeline protect her aging grandmother and save the city of New Orleans – whether she’s a haunt huntress or not? EVANGELINE OF THE BAYOU will inspire young readers to trust their gut no matter how terrifying that might be. Thank you so much to Jan for your honest and inspiring post!